Since starting this blog at the end of November we have been delighted to see how much interest it has received – we have had nearly 700 views in the last month! 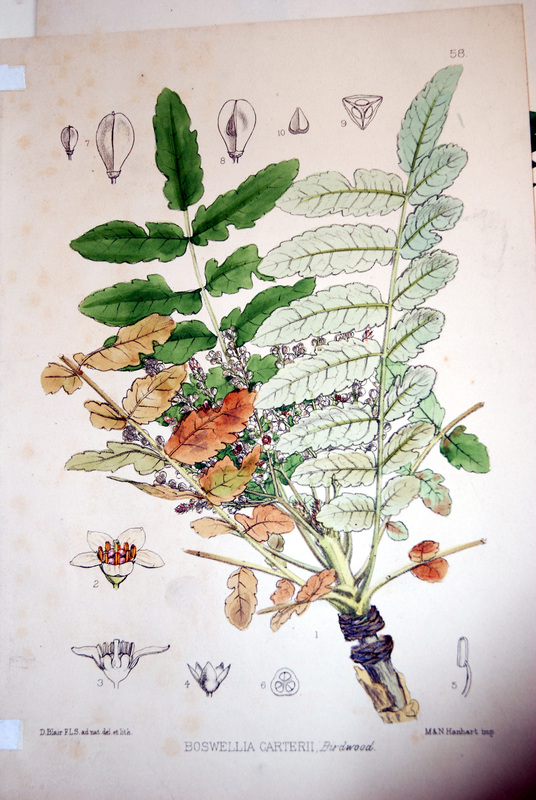 In 2010 we will continue to bring you news and stories from the herbarium, however, if there are any parts you find particularly interesting or you would like to hear more of, please let us know in the comments form as it is always great to get feedback. New Year is a time when many of us make resolutions for the coming year. If you haven’t decided on one yet maybe you might consider planting a tree in 2010. The Woodland Trust is appealing to people to plant a native tree to mark the beginning of the new decade and as 2010 is the International Year of Biodiversity it makes even more sense. I’m thinking of planting a Hazel tree, although I think any nuts will be taken by the many grey squirrels that invade my garden. Here’s some Hazel from our collection that was growing in Botany Bay Wood in Salford in 1866 and collected by John Barrow (1822- 1890). 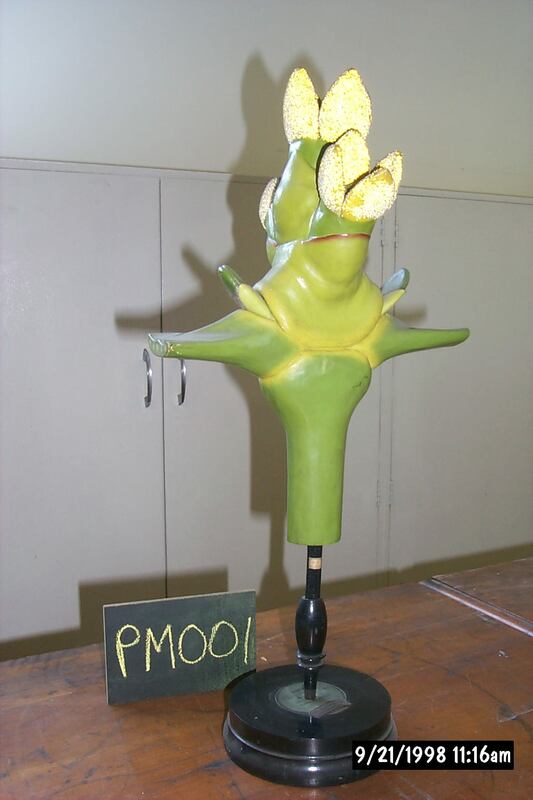 This entry was posted in News and tagged Botany Bay Wood, Hazel, John Barrow, Woodland Trust. 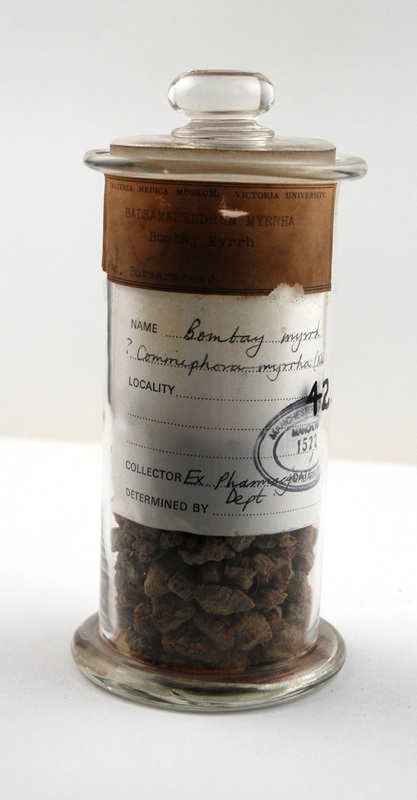 Congratulations to those of you who guessed correctly… today’s Specimen of the Day is myrrh (Commiphora myrrha). This specimen of myrrh has come from our Materia Medica collection, in fact the label on the jar says it once belonged to the Materia Medica Museum, Victoria University. The Materia Medica collection contains over 800 specimens of medicinal plants in the form of leaves, roots, juices, gums, resins, flowers, herbs etc. The collection, most of which are kept in glass jars like the one pictured above, look like the contents of an old apothecary’s shop. Myrrh is indigenous to eastern Mediterranean countries, Somalia, Ethiopia, Eritrea, Yemen, and South Arabia. The herb comes from a spiny, deciduous, bushy tree that grows to about fifteen feet, producing yellow-red flowers and pointed fruits. Myrrh is the resin that is a pale, yellow, granular secretion which discharges into cavities in the bark when it is wounded. The exudate hardens to a reddish-brown mass about the size of a walnut. It is harvested from June to August and dried for medicinal use. Myrrh should not be confused with British Myrrh, which is from a different plant family. 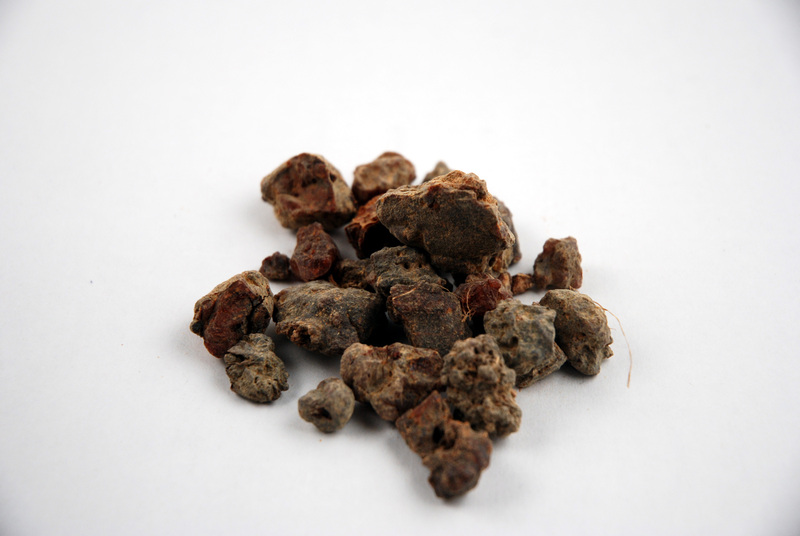 Myrrh has been used for it’s medicinal properties for thousands of years. In the bible myrrh was brought by Caspar, one of the Magi or three wise men, to the infant Jesus. 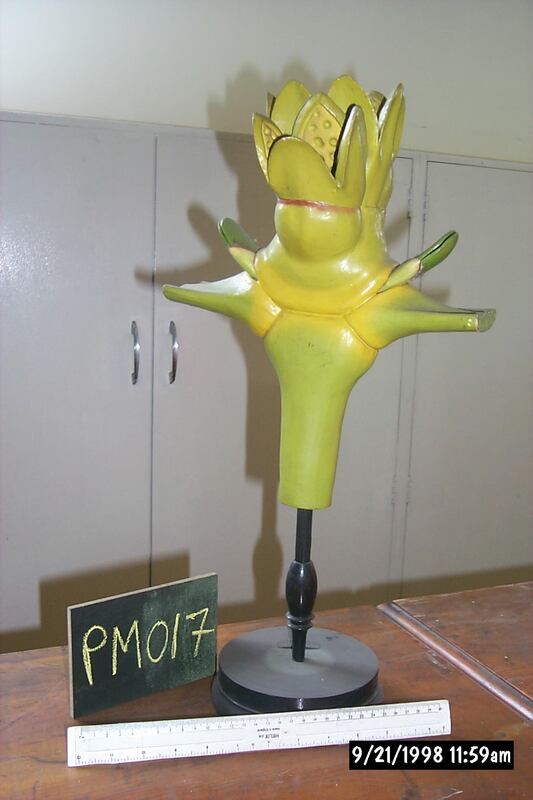 This entry was posted in Specimen of the Day and tagged Leo Grindon, materia medica, myrrh. It’s so nearly christmas and there’s snow in Manchester (falling off the roof like an avalanche) and on the Herbology Manchester blog too (silently and not half so cold). Unfortunatley this article has neither the date nor details of the publication it came from. 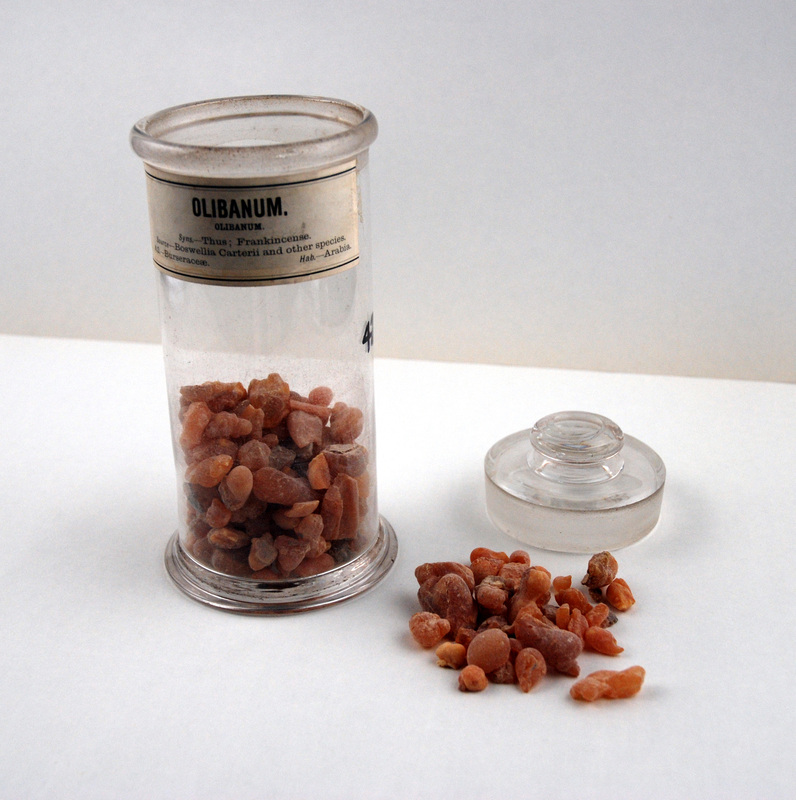 Frankincense is our specimen of the day. Had a rummage and found this specimen and newspaper clipping in our Grindon collection, and then found a jar of the stuff in the Materia Medica. The blurb in the paper makes no mention of the gifts given to baby Jesus, of which frankincense was one. Maybe it wasn’t a big deal in 1850. 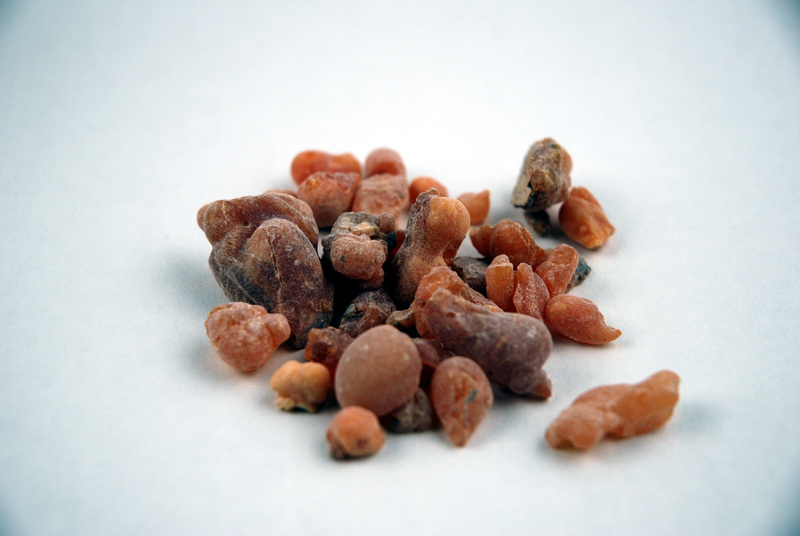 Frankincense is an sweet smelling resin from trees in the genus Boswellia, mainly found in North Africa. Guess what the specimen will be tomorrow? 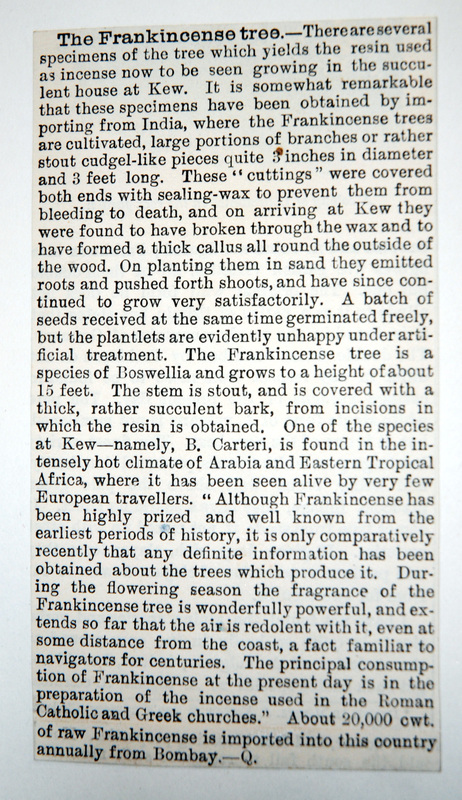 This entry was posted in Specimen of the Day and tagged botany, Frankincense, Herbarium, Leo Grindon, Manchester, materia medica. Keeping with the Christmas theme, todays specimens are seeds from Pōhutukawa (Metrosideros excelsa/Metrosideros tomentosa) aka. the New Zealand Christmas Tree. Brilliant crimson flowers cover this tree between November and January, peaking in mid to late December (summertime in the southern hemisphere). In New Zealand the native Pōhutukawa is under threat by the introduced common bushtail possum which strips the tree of its leaves. The possum was introduced to New Zealand in the 1800s to establish a fur industry but it has now become a major pest. 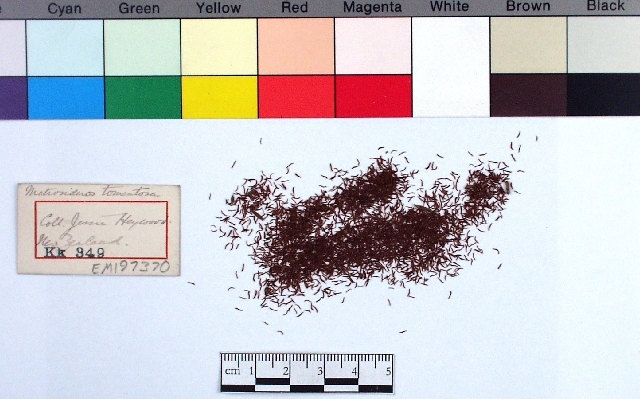 These seeds are one of many specimens collected in New Zealand by Miss Jessie Heywood (1852-1947). Jessie regularly sent packages of specimens from New Zealand to the Manchester Museum. As Jessie is one of my favourite collectors I’ll devote separate post to her story later on. 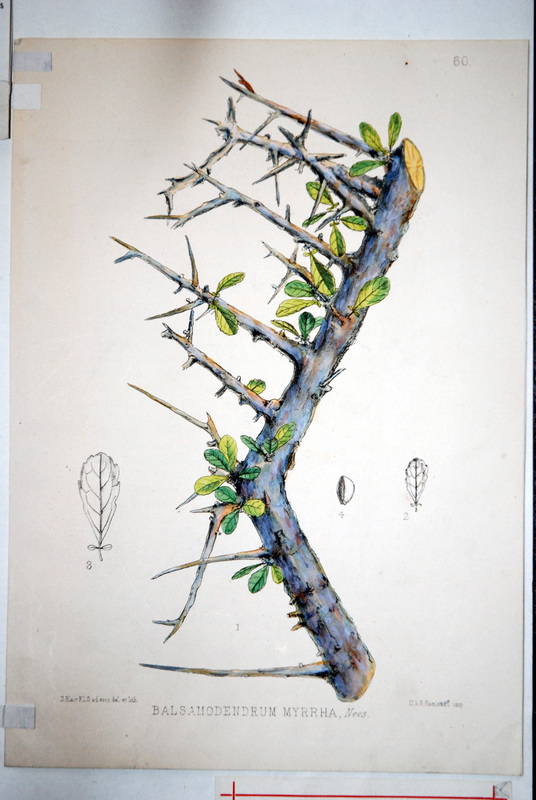 This entry was posted in Female Botanists, Specimen of the Day, Victorian Botanists and tagged Jessie Heywood, New Zealand Christmas Tree, Pōhutukawa.